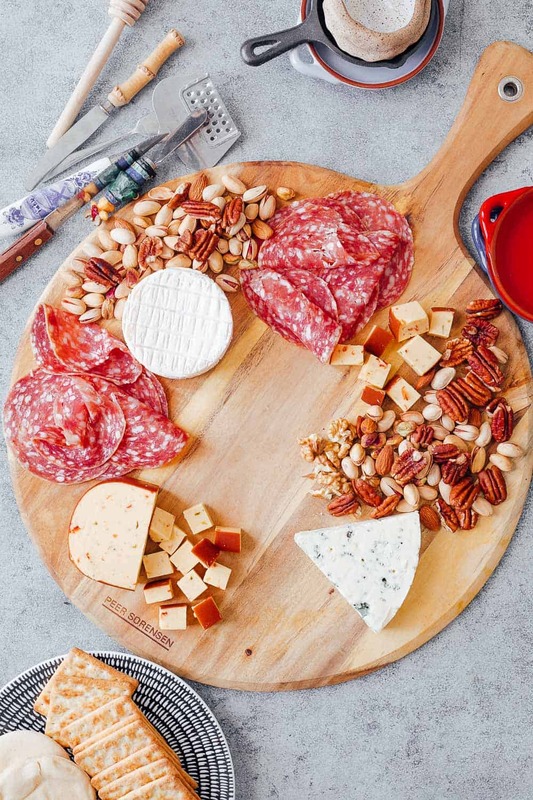 Learn how to make the Ultimate Wine and Cheese Board on a budget with simple tips and tricks. 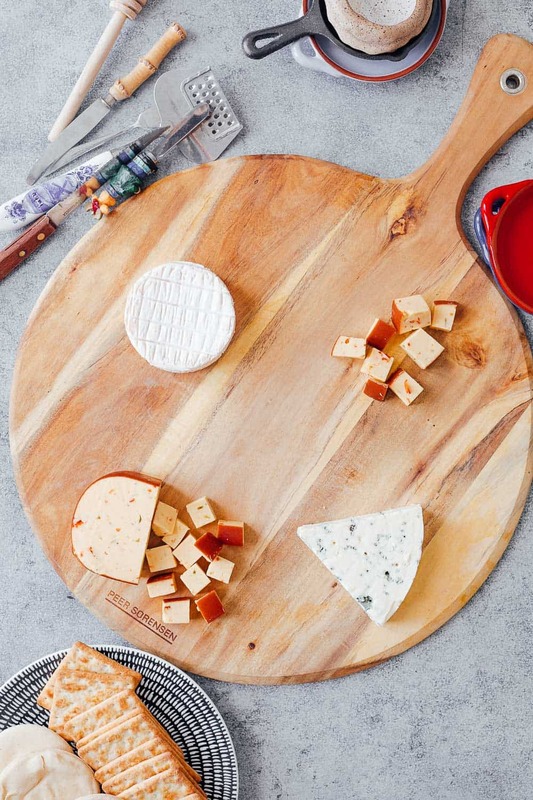 You’ll be a DIY cheeseboard ninja by the end of this detailed post. Perfect for Christmas holidays, as a party appetizer for a crowd or for a romantic dinner date. Everyone wishes they were Martha – I sure do. 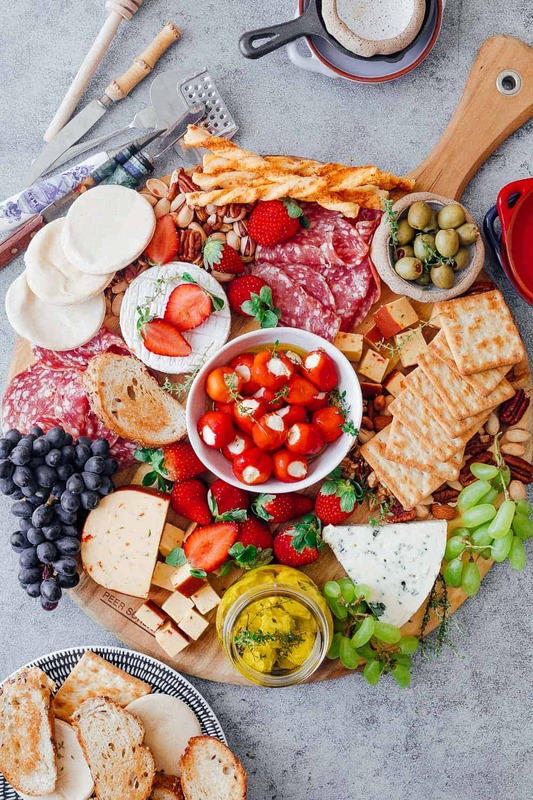 Every time I looked at wine and cheese platters on the Internet there was major awe and respect for people who attempted those cheese boards and made them look so effortlessly beautiful. Till I made my own one day and realized that it is – effortless, easy and takes zero work. I’ve tried a ton of combinations in the last couple of months to bring to you this post – How to make the Ultimate Wine & Cheese Board on a budget. Because wine and cheese boards can be expensive and can seem completely out of reach. 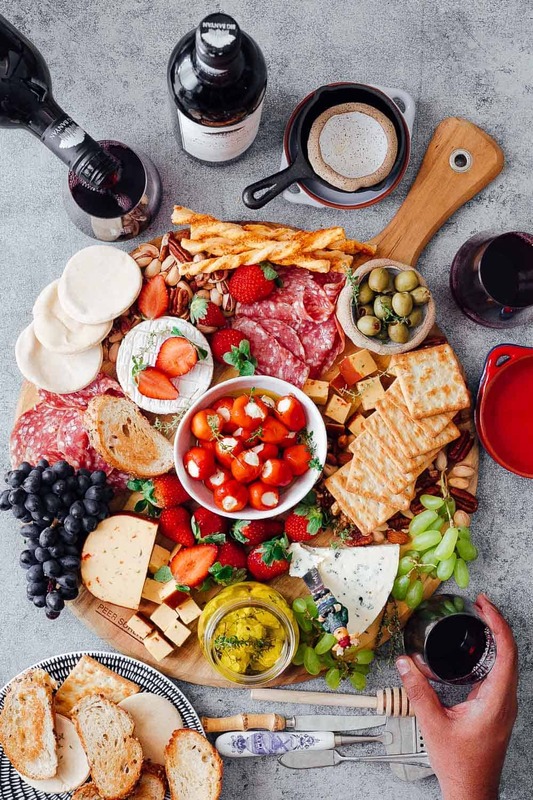 But I have some tips here for you to make the ultimate wine and cheese board which is affordable, delicious and will have everyone thinking that you really are Martha! What to consider before you start building the Ultimate Wine and Cheese Board? What’s your budget? 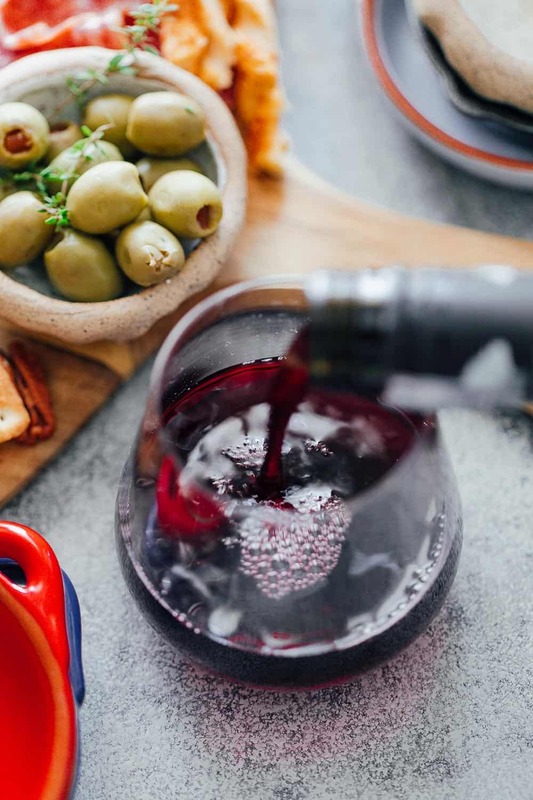 We are definitely focusing on building a wine and cheese board that doesn’t make a dent in our pocket here, but knowing what your budget is beforehand can really help make the right decisions. Because it’s so easy to go overboard with one of these. There is really no limit to expensive. 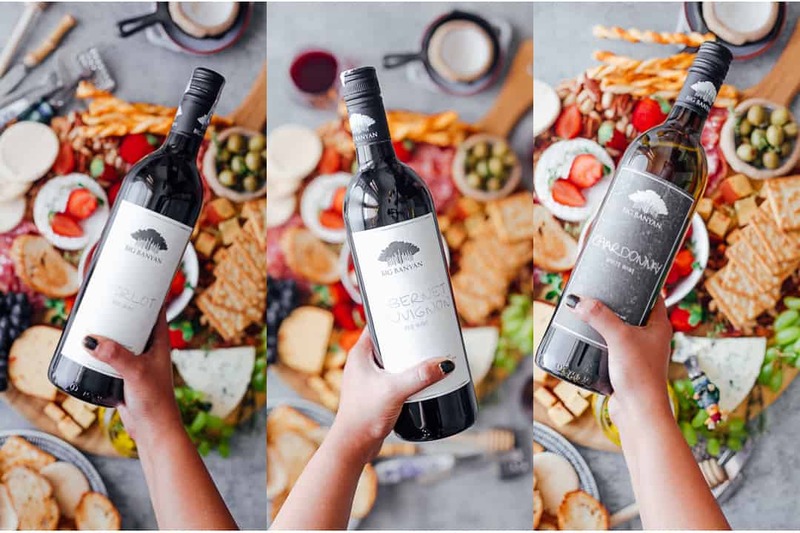 Once you’ve figured this out, you are ready to make the ultimate wine and cheese board on a budget and here’s everything you need to put it together. You really don’t need a specialty base or one of those fancy slates for your cheese board. Look around the house and you’ll definitely find something. 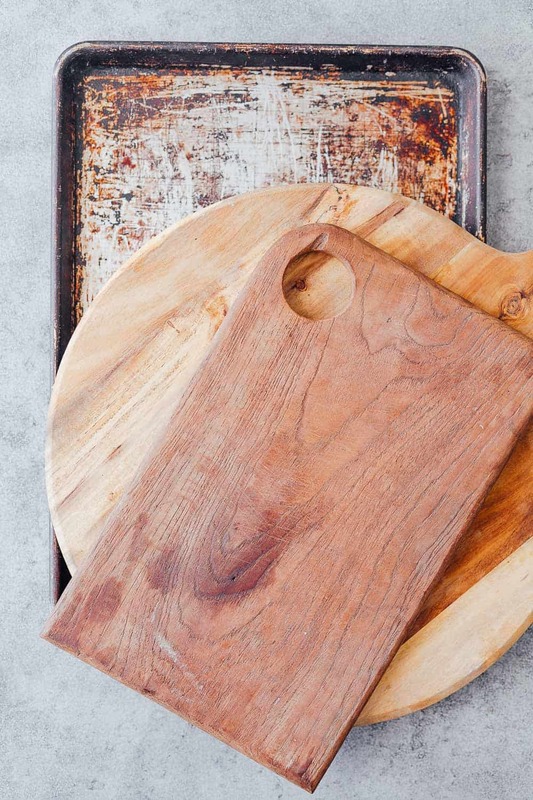 Old cutting boards, pizza boards and even old baking sheets can all make great bases for cheese boards. I love using my round old pizza board that has a handle so it makes serving easier. Most supermarkets will allow you to taste the cheeses before you buy. I’ve also noticed that some flavored cheese can be cheaper to buy than the unflavored ones, possibly because they are slightly more processed. Ask the cheese guy for bargains on any leftover wedges or small pieces that they are hoping to sell quickly. The prices in the fresh cheese section versus the frozen foods or cold storage section will also vary greatly. I’ve always found great deals on more expensive cheeses such as the Danish Blue (a mild variety of blue cheese) and Brie in the frozen foods section vs. the cheese counter. These will be packaged and imported but still taste amazing. I’m more of a pile-it-on kind of person so I prefer keeping whole blocks of cheeses on the board rather than cutting them and arranging. I also think it looks prettier. Offer your guests cheese knives (if you have them) or smaller knives to cut through the cheeses. While arranging the cheeses, it’s best to arrange them so that there’s ample space between them. This helps so that people can rotate the platter to pick what they want rather than struggling to cut a cheese and mixing it with another one. Charcuterie or cold cuts can also get really expensive when putting together a cheese board. I like sticking with only one variety and arranging it in two different parts of the board to give the impression that there are two options. When it comes to choosing, salami is the most affordable and you can ask the butcher to cut it in really thin slices. Pre-cut meats can also work out to be cheaper sometimes. I also look for deals on these at the butcher section in the supermarket. 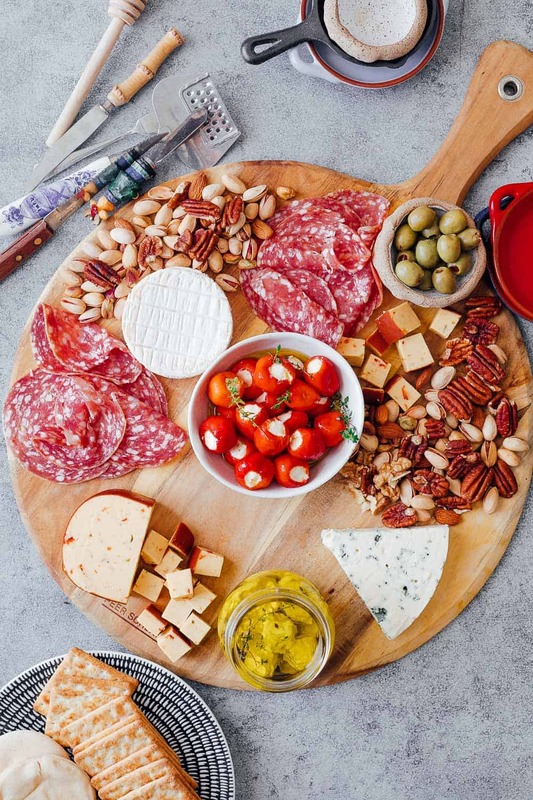 Nuts can really help fill up the spaces, and after their fill of cheese, crackers and salami, your guests will love snacking on the nuts and shelling the pistachios. It’s one of those activities that’s lazy and fun. There is no right or wrong – just rummage through your pantry, and take out any kind of nut you might have – salted, plain – everything goes. At this point, your board looks about half way full. It’s time to go through your fridge and see what may be hiding there. Most people have unfinished jars or olives, pickles, stuffed peppers of some kinds etc. Just dump these in small, pretty looking bowls and arrange them on the cheese board. They don’t need to be the best quality but these salty nibbles keep people snacking and add to the variety. Plus, you are not spending on things and using things that you might have forgotten about. Quick tip: I also strain greek yogurt whisked with a pinch of salt overnight and use it to make labneh balls which are then stored in olive oil. It’s a cheap, easy option to add another variety of cheese to your wine and cheese board. In my opinion, fruits are an absolute must for a cheese board. Every single time I’m done with all the cheeses at a party, I reach out for the fruits and they are so refreshing. You are going to welcome the sweetness and the balance. To keep things affordable, pick fruits that are already in season so that you get them cheap. Stay away from imported, exotic fruits which can become expensive and may not even have as much flavor. 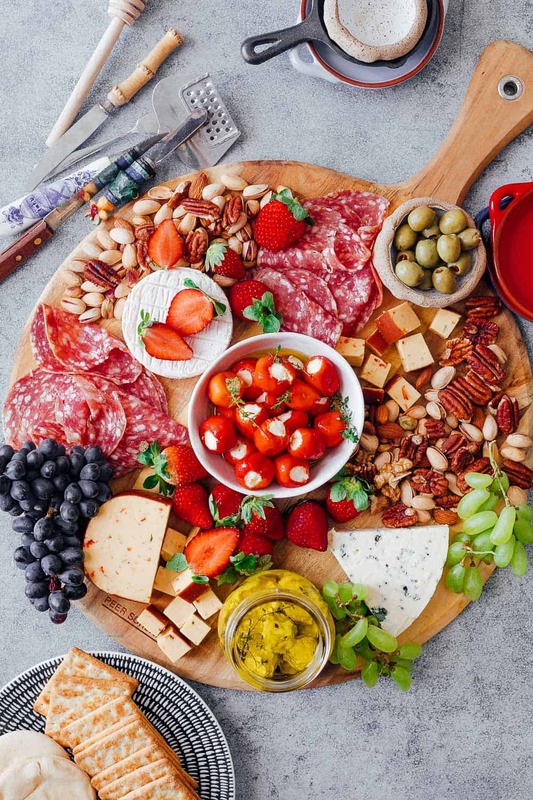 I loved adding strawberries and grapes to my cheese board because the markets are full of them. Two different varieties of grapes also add more color to the board. Cut them in half or keep them whole. Let people just pick them up with their hands to eat. Quick Tip: Make sure you wash and pat your fruits dry so that they don’t leave stains or become soggy. Believe me, you don’t need to spend a lot on this section. I picked the cheapest crackers I could find – Cream Crackers which are really mild flavored crackers. I also bought some breadsticks from a bakery around the corner and a loaf of seeded multigrain bread. The bread was toasted on a pan with a little olive oil. Instead of spending a lot of money on fancy herb crackers, still to mildly flavored and locally available crackers or breads. If they have an overpowering flavor of their own, they are going to compete with the cheese and other ingredients on the board. This can either be Step #1 or Step #8. I picked my cheeses first and then picked the wines to go with them. It’s always best to provide options for both red wine and white wine to your guests. With a little research, you can also recommend which wine goes with what. 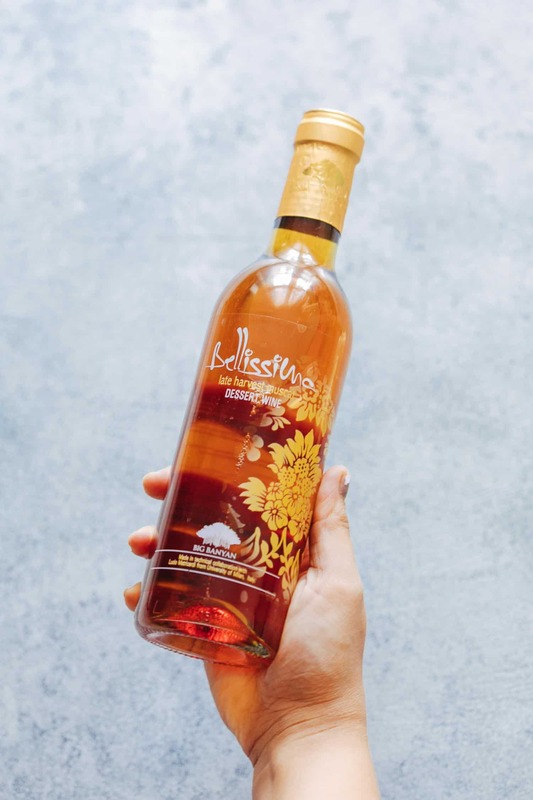 We picked a variety of wines from Big Banyan – Merlot, Cabernet Sauvignon, Chardonnay and their dessert wine – Bellissima. The Merlot is a dry, medium bodied wine with practically goes with everything, except fish and leafy green vegetables. It’s important to have a wine like that in your list so that it’s a choice that anyone can opt for. 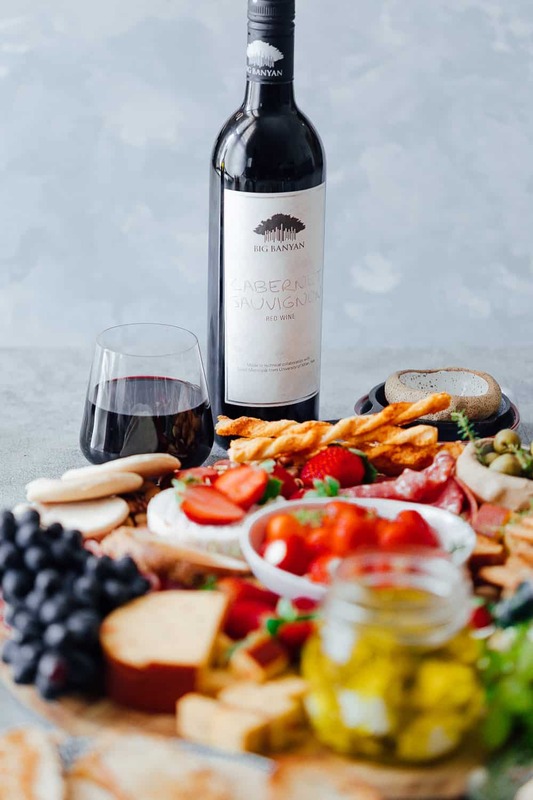 If you’ve actually made it this far, I’d say you are more than ready to build your own Ultimate Wine and Cheese Board on a budget. You really don’t need expensive ingredients to make the most amazing cheese platter. All you need is a little creativity, a lot of fun and some good wines to make everyone go wow! If you use my tips to make the ultimate cheese platter for your next party, don’t forget to take a picture and tag me (@my_foodstory) on Instagram so that we can both marvel at how easy it was! Great post! Beautiful photos! Cheers from Texas! Very well written & explained. This kind of Cheese board can be prepared by everyone at home. Thanks for making it so simple for everyone. Cheers & Cheeseful Greetings ! Lovely post Richa!! You certainly made it sound like a very easy job. I am planning to do one on our next date night. what a gorgeous cheeseboard! love all the tips! What a wonderful guide! I love how no two cheese boards are ever alike. One of my favorite go-to appetizers for company. Happy New Year!!! Thanks Liz! So glad you liked it! A very happy new year to you too!